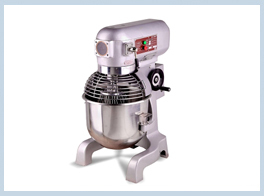 Variable speed motor drive allows EasyShift™change of mixer speeds without stopping. Mixing paddle: allows mixing creams, masses of Genoese, etc. Whisk: permit allows to beat egg whites, whipped cream, meringues, mayonnaise, soft creams, etc.